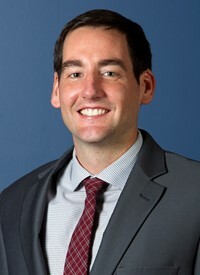 After eight season as head coach of the Sewanee College men’s basketball teams, Ryan “Bubba” Smith has been selected to become the new head coach of the Lee men’s program. Smith, who has built the Sewanee (University of the South) program into one of the top teams in NCAA Division III basketball over the past eight years, becomes only the ninth head coach in the history of Lee basketball. Smith, a graduate of Furman University, enjoyed a four-year basketball career with the Paladins. He was a four-year letterman and team captain during his junior and senior seasons. 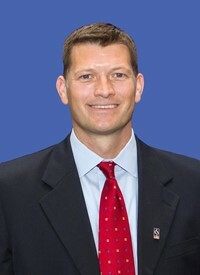 His first head coaching opportunity came at Hampden-Sydney (Va.), a nationally recognized program and a member of the ODAC (Old Dominican Athletic Conference). After serving as an assistant for three years, he was named head coach in 2003 and remained in that position for five years. He became the first rookie coach to direct a Division III program to a No. 1 ranking. Smith’s overall record at Hampden-Sydney was 93-45, including two ODAC Championships and two NCAA national tournament appearances. The Hendersonville, Tenn. native moved closer to home in 2008 and took over a Sewanee basketball program that had struggled for years. Built on defense and rebounding, his 2011-12 squad was 11-2 at home, the school’s best home mark since 1998. Smith has twice been named the SAA (Southern Athletic Association) coach of the year. The Tigers recorded five straight winning seasons and this past year went 20-8 and became only the fourth 20-win mark registered in Sewanee basketball history. Smith brings his wife, Cortney, and four children. Isaac (14), Mary Brittain (12), Emma (9) and Izzy (7) to Cleveland to begin the new journey. 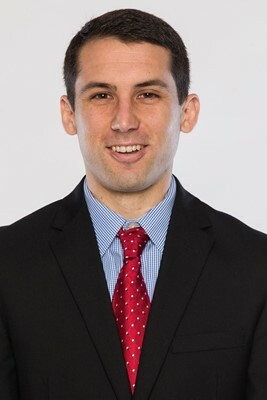 Cole Rose, a former Lee University standout, who helped lead the men's basketball team to 55 wins against just 12 defeats during his two seasons as a Flame, is returning to work as an assistant coach. Rose played for the Flames during the 2006-07 and 2007-08 campaigns. He was known as a hard-nosed defender, who loved his teammates, and never backed away from any challenge. During his tenure, the Flames were Southern States Athletic Conference (SSAC) regular season and tournament champions in 2007-08. Lee advanced to the Elite Eight of the NAIA National Tournament before falling to tourney champs, Oklahoma City. His college statistics reflect the type of player Rose was for the Flames. He was sixth in the SSAC in assists/turnover ratio, eighth in assists per game, 11th in steals, and 18th in defensive rebounds. Rose took over the Boyd Buchanan program and quickly turned it into one of the best teams in the Chattanooga area. In 2012-13 the Bucs were 25-8 and reached the sub-state of TSSAA play. This past season his squad posted an impressive 28-4 record and was knocked out in the first round of the TSSAA State by a powerful Memphis team. Cole is married to Ashley Rose and the couple has a one and a half year old daughter, Penny Rose. Drew Giudice enters his first season as assistant coach with Flames men’s basketball for the 2016-17 campaign. He will immediately contribute in all areas of head coach Smith’s program including recruiting, scouting, game plan preparation, and player development. He moves to Cleveland following a two-year stretch as a graduate assistant for Rick Byrd and the Belmont University coaching staff. His two seasons in Nashville saw the Bruins play in the 2015 NCAA Tournament against Virginia and 2016 National Invitational Tournament against Georgia, a 2015 OVC Tournament Championship win over Murray State, and a 2016 regular season OVC Championship. Giudice's playing career included four years of varsity experience for Maclay School (Fla), winning three district championships. He then went on to play at Millsaps College in Jackson, Miss. where he was named Academic All-SCAC in 2010 and to the SCAC All-Sportsmanship Team in 2011. His coaching career started at his high school alma mater. In his one season coaching Maclay, the Marauders reached the FHSAA playoffs for the ninth consecutive year. Giudice returned to Millsaps as an assistant coach for two seasons, coaching five All-SAA selections and helping the Majors reach the SAA semifinals in 2013. He is a of Tallahassee, Fla.and the youngest of three siblings. His parents are Bill and Debbie Giudice.